As you may have noticed, all of us at DKP love dogs. But it’s not enough for us to have pets only – we’ve chosen to celebrate our 15th year in business by partnering with an organization that provides assistance dogs to people with disabilities. The organization is called the Indiana Canine Assistance Network (ICAN) and we are thrilled to join them in sponsoring one of their puppies this year! DKP, over 2015 and 2016, will support a puppy through its training, graduation, and placement with a deserving individual. 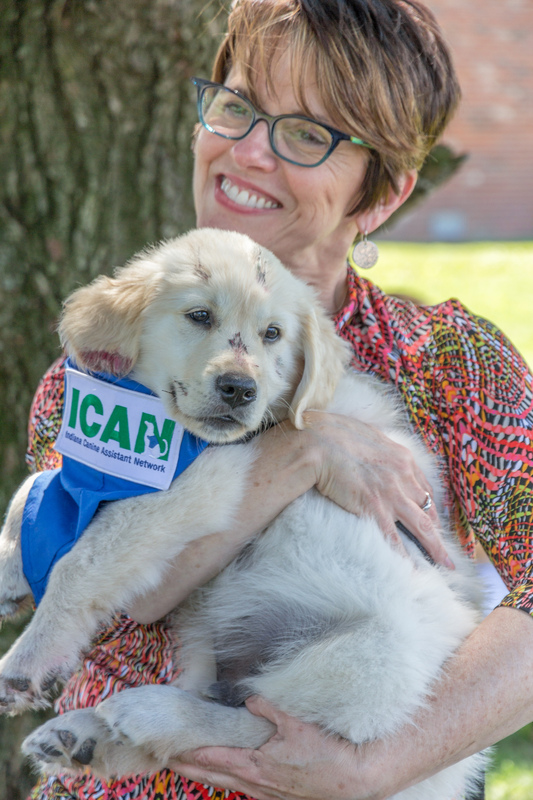 Indiana Canine Assistant Network (ICAN) was founded in late 2001 by Sally Irvin, Ph.D., who was inspired to create positive and powerful connections between at-risk individuals, animals and people with physical and developmental disabilities. Based in Indianapolis, Indiana, ICAN primarily serves residents of Indiana, with occasional client placements outside of the state. Visit ICAN to learn more about their program and see some delightful pictures of the puppies-in-training! 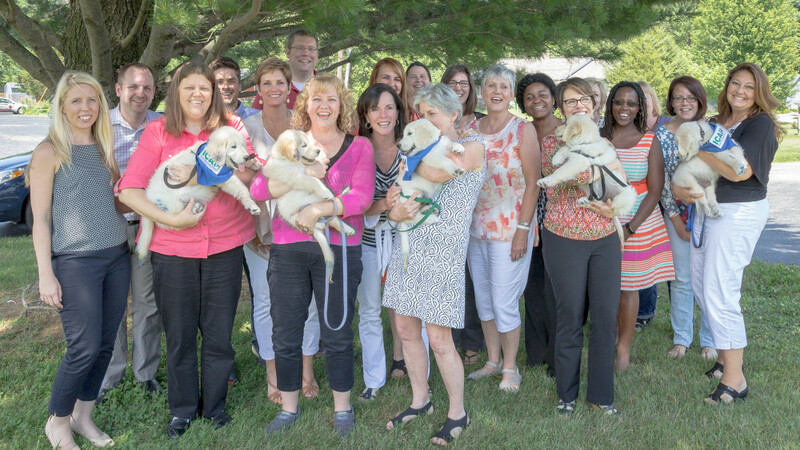 Recently, the team at the DKP office was introduced to several ICAN puppies during a staff meeting. Work went out the window as we took the puppies outside to one of our favorite doggie meeting rooms – under the tree outside our offices. See a few of the pictures below, and be sure to visit ICAN’s website to learn more about their program (and donate if you can! ).